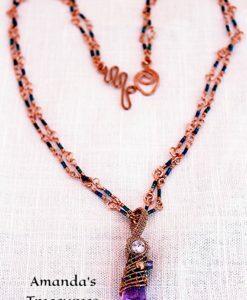 The inspiration for Wild One came from many sources, most of it is cross-cultural and nature, jellyfish come to mind. 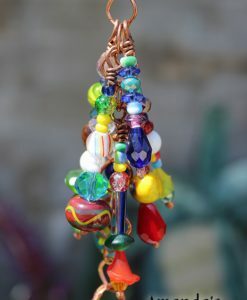 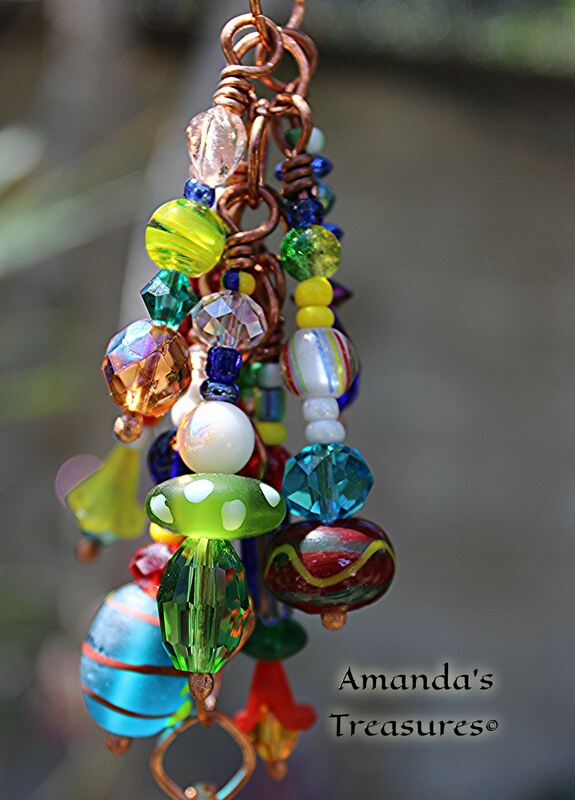 I like how the design turns in a slight breeze and when combined with all the different types of beads in vibrant colors, which include bumpy lampwork beads, crystals, it really catches the sun. 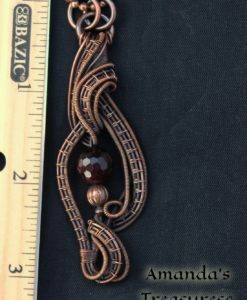 This piece took days to construct, part of the process includes torchwork. 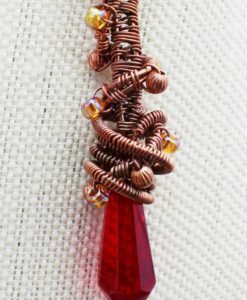 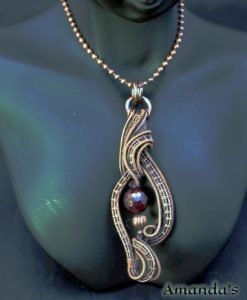 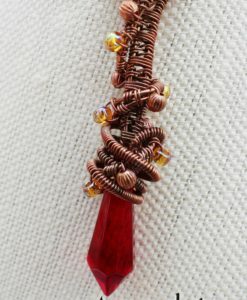 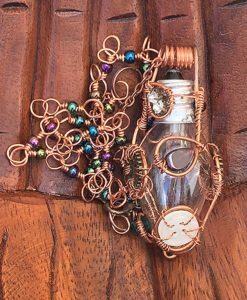 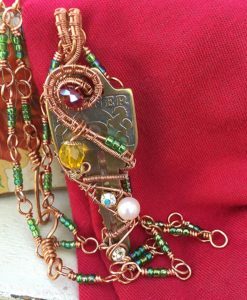 Each dangle in the design is a handmade headpin, a torch is applied to each length of copper and a ball is formed. 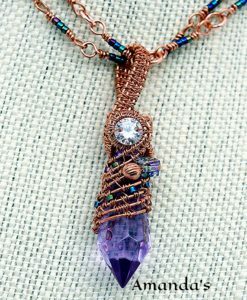 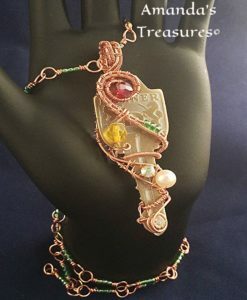 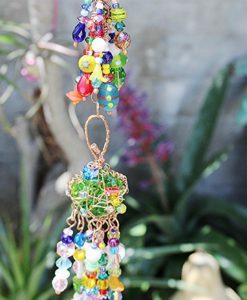 I really like how the dangles are added to the chain that the suncatcher hangs from, keeping with the overall look of this piece. 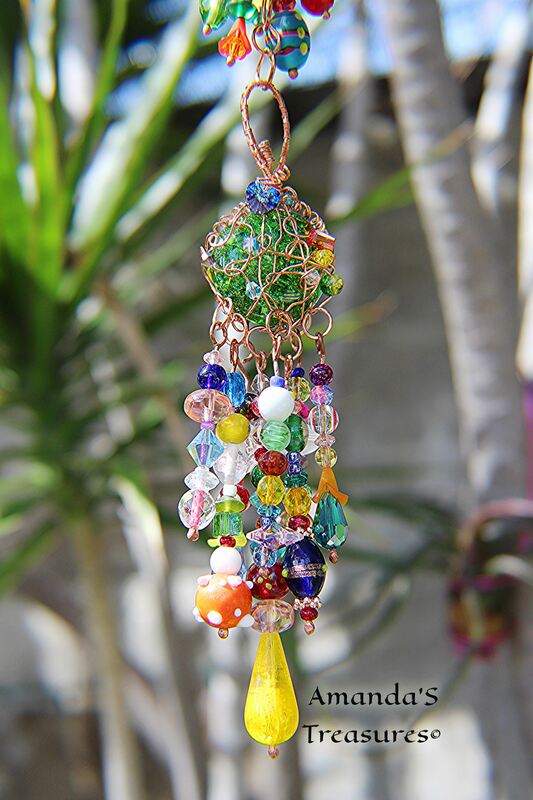 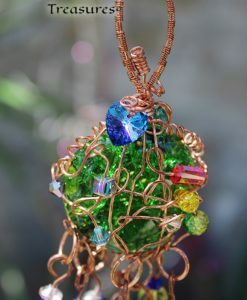 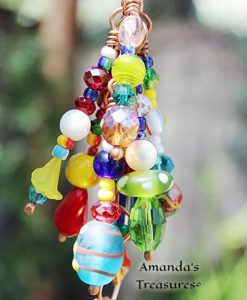 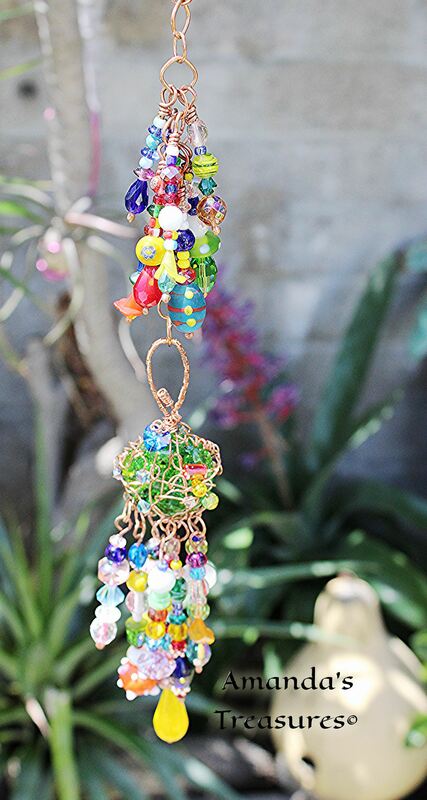 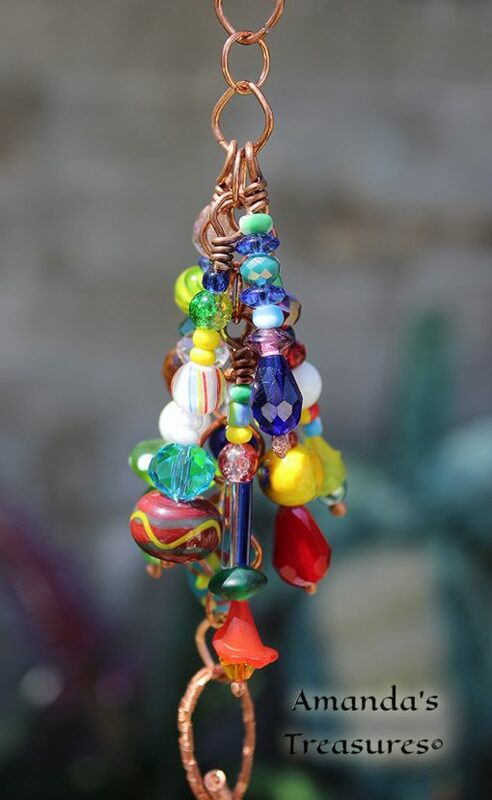 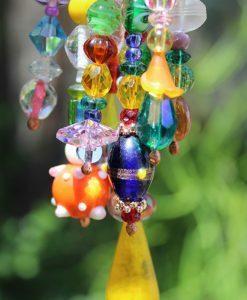 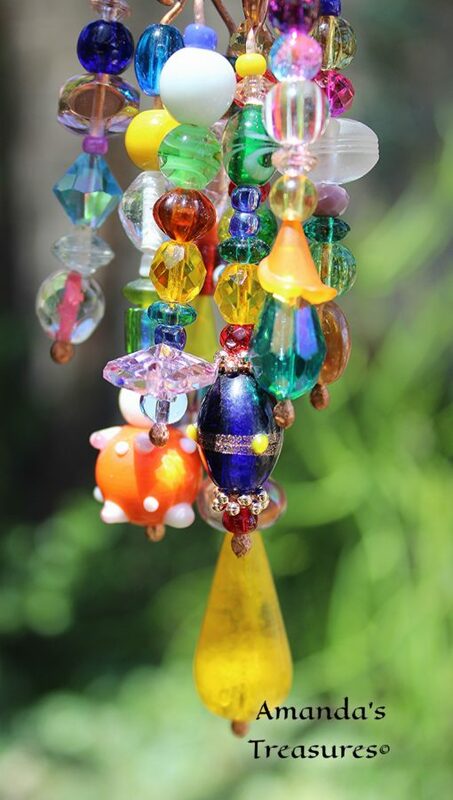 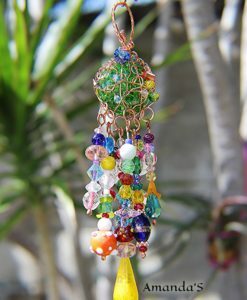 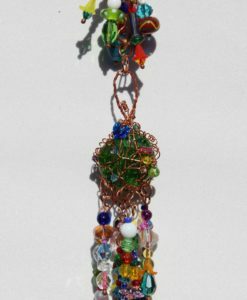 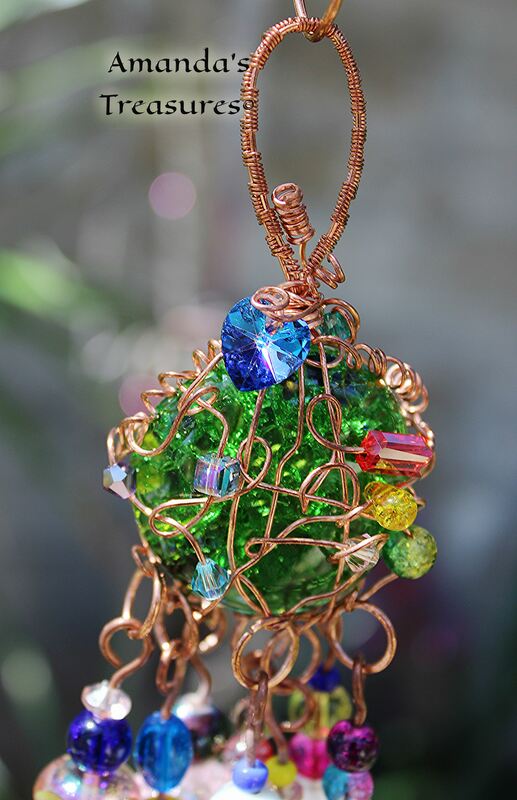 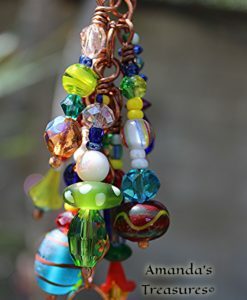 So many colors are included in this suncatcher, vivid yellow, green, blue, red, purple, pink and just to name a few. 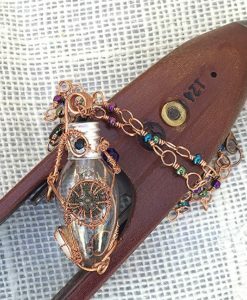 Whimsical is the overall look I was going for. 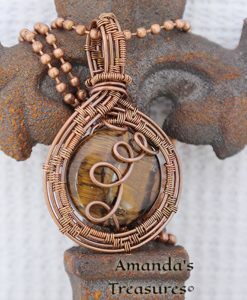 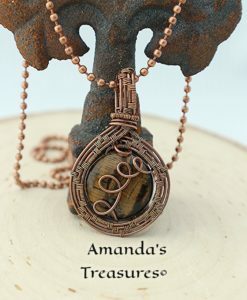 This is an original design by Amanda’s Treasures.